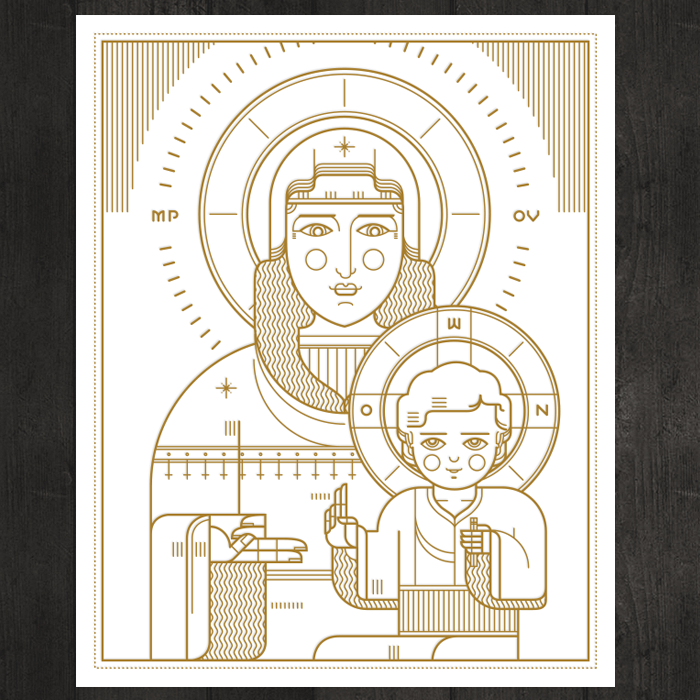 Decorate your home or office with this Eastern Orthodox letterpress print. The prints measure 8 x 10, and are letterpressed with metallic gold ink (Pantone 874) on #118 white cotton paper. Any orders made before 12/19 will ship in time for Christmas.